Fantastic BUILDER/DEVELOPER OPPORTUNITY inside perimeter in Sandy Springs !!! RU4 ZONING (URBAN DETACHED). 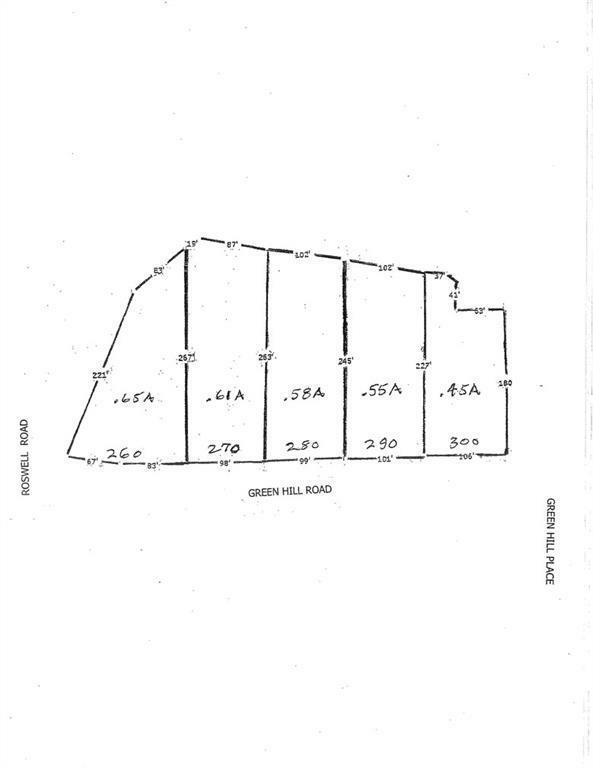 Five Contiguous Properties - 260, 270, 280, 290, and 300 GREEN HILL ROAD with approximately 554 feet of ROAD FRONTAGE . Approximately 2.84 Acres. Zoning allows for 40 ft X 100 ft Lots. Opportunity to build 13 or more houses. See PLAT included with documents. Each property is priced individually as per each listing. TOTAL ASSEMBLAGE PRICE FOR ALL FIVE PROPERTIES IS $2,835,000.